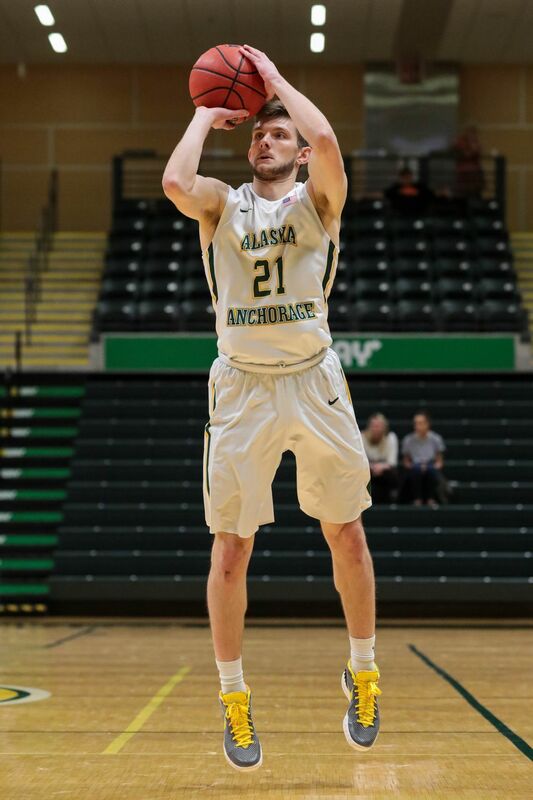 Matt Seymour spent last season washing the uniforms for the UAA men’s basketball. This year he’s wearing one. Seymour is a 23-year-old reserve guard from Juneau who made the move from team manager to team player this season for the Seawolves. He’s no Rudy. He’s not on the team for sentimental reasons, and his ambitions don’t exceed his talent. 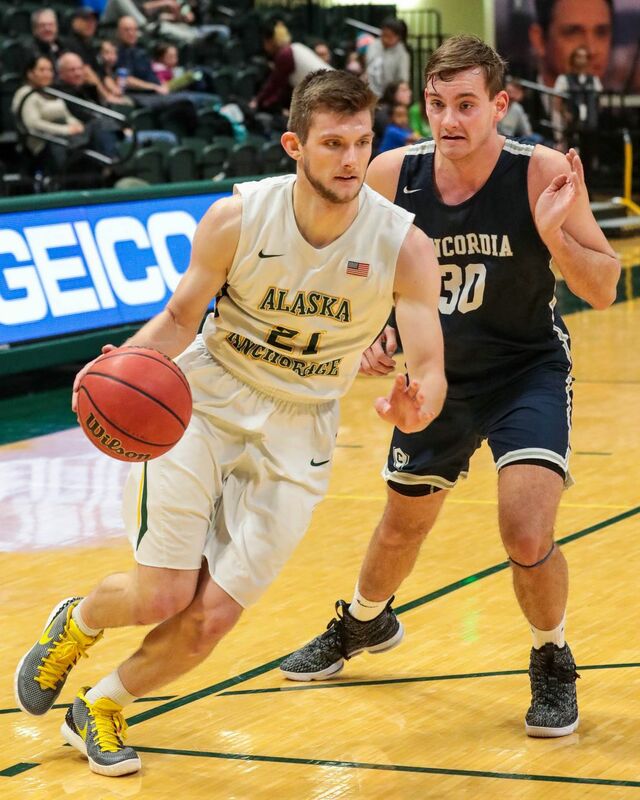 Seymour is a legitimate Division II player who came to UAA the way many Seawolves come to UAA – after two years at a junior college. It’s just that it took him two years after junior college to acquire the necessary academic credits to be eligible for NCAA basketball. “It’s been a ride,” Seymour said. 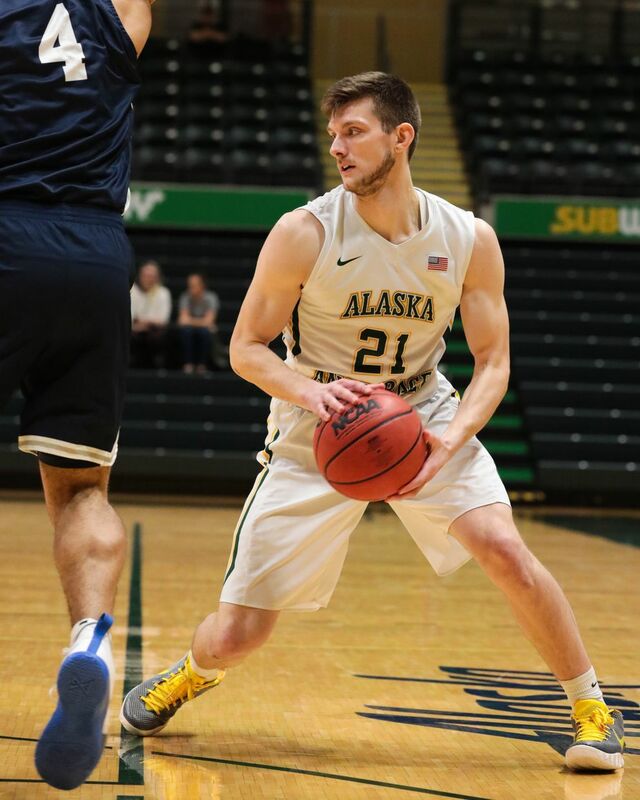 After a successful high school career at Thunder Mountain High School, Seymour took the advice of UAA’s coaching staff and played two seasons at a Washington junior college. His plan was to join the Seawolves as a walk-on in the fall of 2016, but he didn’t have enough credits to play. Encouraged by coaches to persevere, he attended school part-time and got a job at the Alaska Airlines Center that included cleaning up bleachers after games. But at the end of the school year it was discovered Seymour was still one credit shy of meeting eligibility standards. He was heartbroken. That’s when Seawolves coach Rusty Osborne asked Seymour if he wanted to spend the 2017-18 season as the team’s manager. “At first he let me think about it, because honestly at that point I was pretty upset and was just trying to process if I really wanted to play basketball,” Seymour said. Seymour spent the season attending practices and learning from watching. Sometimes he’d shoot around with the team before a practice or go 1-on-1 with someone after a practice. Whenever he had free time, he’d shoot baskets on his own. But he also knew that his job was to be the team manager, and he did whatever tasks were assigned to him – including daily laundry duties. “He’s probably the best manager we’ve ever had,” Osborne said. “Not once did he ask, ‘Hey coach, can I jump in a drill?’ We never thought he was there to get on the team. Seymour’s season as a manager wasn’t all dirty work. He essentially became a volunteer coach – he helped scout opponents, he wrote letters to recruits and helped out in the office and on the court. “It was a little bit of a weird dynamic this year because I had been quote-end-quote coaching last year,” Seymour said. “It was cool to see how they accepted me. Seymour gets limited time off the bench but has shown he can make a difference. 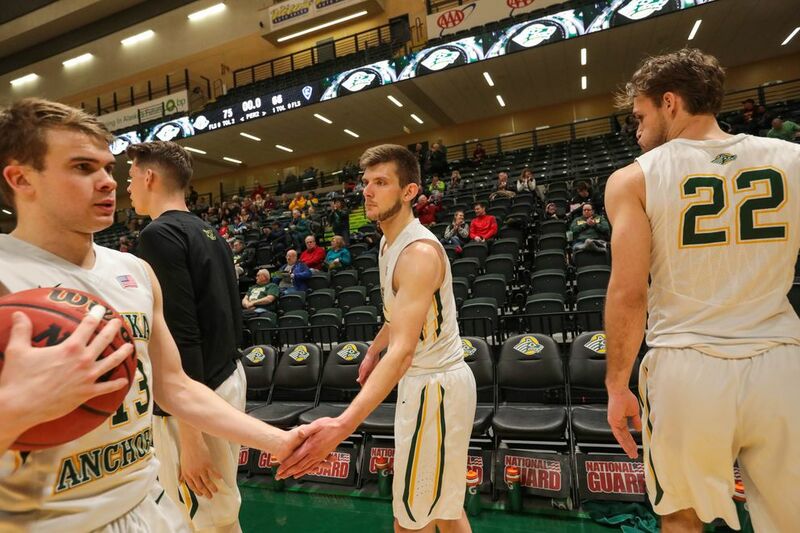 In a game earlier this month against Western Oregon, Seymour helped the Seawolves pull off a 61-57 upset victory with seven points, one assist, one rebound and zero turnovers in nine minutes of playing time. With the Seawolves leading by one point midway through the second half, he provided a huge spark by grabbing a defensive rebound and, on the ensuing possession, beating the shot clock with a 3-pointer that stretched UAA’s lead to four points. Seymour didn’t make his first appearance for the Seawolves until December because of a preseason concussion in October. That delayed his return to college basketball for another month, during which time he continued to impress his coaches. “All the while he sat on the bench, he never complained, he never sulked,” Osborne said. Seymour is listed as a senior on the roster, but he might have one or two semesters of eligibility left after this season, Osborne said. The school will need to check with the NCAA at the end of this season. Seymour is a physical education major and he’s on track to graduate in a year, he said. He’s thinking about becoming a coach -- an idea that took root during his season as the team manager, when spin cycles replaces spin moves, but his love for the game never faded.